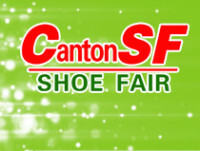 China has an influential and large-scale professional exhibition of the shoe industry. It is also the first choice event of the industry's annual exhibition activities.In 2017, exhibitors from all over the world and national exhibitors have signed up for the exhibition.In addition to China, Hong Kong, Argentina, Australia, Bangladesh, Brazil, Egypt, France, Germany, Japan, South Korea, the United States, Mexico, India, Indonesia, Malaysia, Singapore, Spain. Different chambers of commerce from Britain, Vietnam, Pakistan, Turkey and other countries and regions will again organize a delegation to participate in the exhibition, as well as those from Italy where the first exhibitors will be exhibit.This exhibition is expected to be attended by 500 enterprises with a scale of 30,000 square meters and more than 25000 professional buyers are expected to come to visit and purchase.